There is no better feeling for a lawyer representing an injured client than that experienced when we are able to obtain full compensation for the pain and suffering that a client has experienced. Having been a trial lawyer for over 30 years, experience has taught me many lessons. Some of the most important are to be passionate about your case, be prepared to prosecute your client’s claim all the way to verdict and to be relentless in obtaining justice for your client. My law career started as an Assistant District Attorney where I gained priceless trial experience. In private practice as a sole practitioner for a number of years, I learned the importance of maximizing every recovery possible. Due to my extensive trial experience I came to handle some of the most hard fought cases in the Civil Court arena, those being medical malpractice cases. I have been accorded the highest possible peer review rating (AV) for both legal ability and ethical standards by the internationally recognized Martindale-Hubbell Law Directory which rates attorneys worldwide. In fact, in 2015 I celebrated my twentieth year anniversary of such a rating. continue what I do best – represent clients who are injured by the negligence of others, whether it be as a result of a motor vehicle accident, a construction accident or medical malpractice. For those clients that I have had the honor of representing in the past, I say thank you for putting your trust in me. For those individuals who I might represent in the future, I promise you my best effort in our journey for justice. Nassau County District Attorney’s Office – Senior Trial Associate, handling Organized and Vice cases. Kase & Druker, Esqs. – Senior Trial Associate, handling all phases of civil actions. George R. Gridelli, Esq. – Sole Practioner, handling both civil and criminal trials. Cronin and Byczek, Esqs – Senior Trial Associate, handling exclusively plaintiff personal injury cases. Office of Vincent D. McNamara – Senior Trial Associate, handling defense of serious personal injury and medical malpractice cases. Cellino and Barnes, Esqs. – Senior Trial Associate, handling exclusively plaintiff personal injury cases. This letter is to thank your firm, specifically Mr. George Gridelli for representation that was above and beyond what I expected to receive. Mr. Gridelli was clever, extremely professional, comforting, and always kept us informed during the process. It was apparent to me that he cared about the outcome almost as much as I did. His style of representation was impeccable, classy, and he cleverly executed every facet of the case. I was proud to have him as my lawyer. We felt comforted by his portrayal of experience and knowledge. Throughout the trial, Mr. Gridelli spent his evening hours preparing for the next day. He was protective, well prepared, thorough, convincing, and always accurate. I could see that the jurors had respect for him and what he had to say. Even the defense attorney, insurance adjuster, and judge complimented his strong, classy representation, and show of experience. Mr. Gridelli did everything he promised and more. He comforted me when I was worried, and fought hard for me. He was my friend. I have already recommended a co-worker to Cellino & Barnes and will speak very highly of Cellino & Barnes when asked about my case for years to come, because of Mr. Gridelli. 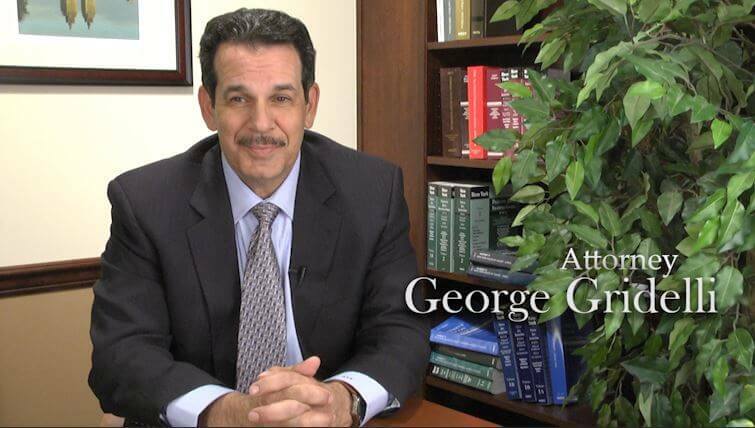 Mr. Gridelli is truly and asset to your firm, as he is a terrific person and attorney. Thanks for excellent representation. It is always a rare and unique opportunity to discuss the performance of individuals who far exceed expectations. My wife and I have had the pleasure of dealing with the members of your staff. They displayed total professionalism and have provided my wife and myself with complete confidence with dealing with our case. We wish to commend your team for achieving our goals and protecting our interests and concerns. Your staff members were dedicated to finding a just and equitable settlement for us. They always made us feel confident in our choice of representation. In the future, if legal representation is needed, Cellino and Barnes will be our choice.